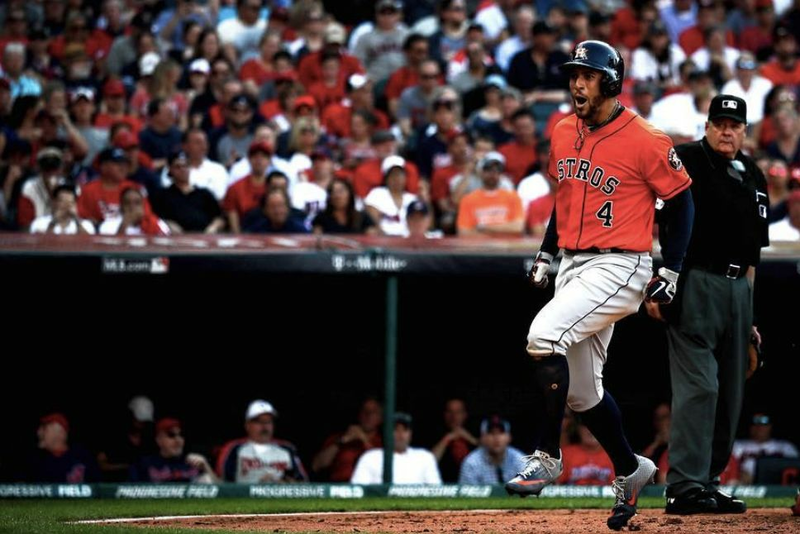 Winning a World Series game took Houston 55 years, but by God, it was worth the wait. Unless you've tried to beat Los Angeles at Dodger Stadium—where the fans' constant booing of opposing teams' players borders on the sadistic and not a minute goes by when the scoreboard isn't commanding them to cheer, clap or otherwise insert themselves into the proceedings—you can't imagine how hard the task is. And then there are the Dodgers themselves, who excel in just about every category and can destroy teams from every angle. 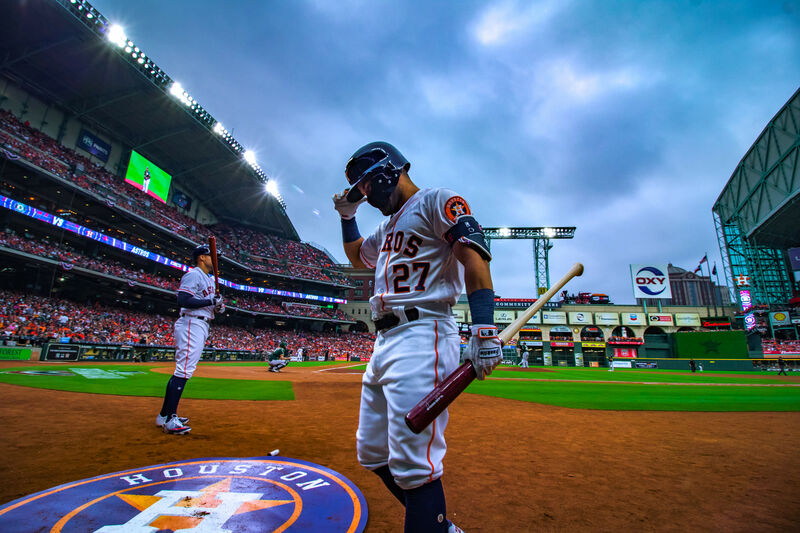 That the Astros were not destroyed on Wednesday night, that they instead triumphed over the Dodgers, 7-6, in game two of the World Series, is nothing short of miraculous. Their accomplishments on the field left Dodger Stadium in stunned silence no fewer than four times, and their 11-inning victory left every baseball fan in the country breathless. A complete list of highlights will likely never be written, so complex and fascinating was the evening. And while records were broken left and right—most home runs in a World Series game ever, most extra-inning home runs in any game ever—no collection of stats or superlative moments could really do justice to the experience of watching all 4 hours and 19 minutes of it. If by some chance you didn't see it last night, find a way to do so today. Right now, if possible. Otherwise, you'll never understand why the rest of us are walking on air today, why our hearts are full of pride, why we're exhausted from staying up half the night just thinking about it. 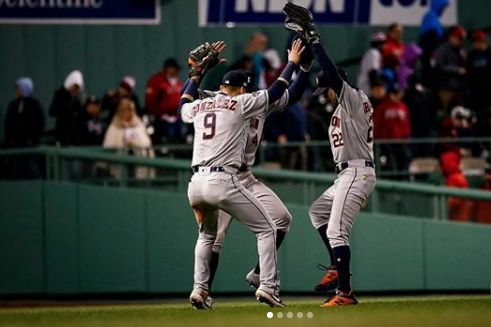 Even now, we're still replaying the whole thing in our heads: Marwin Gonzalez's home run in the 9th inning off the greatest relief pitcher in baseball, the leader of a squad whose record until last night was 98-0 at saving games when the Dodgers were leading in the eighth inning; the back-to-back bombs of Jose Altuve and Carlos Correa in the 10th; and, of course, George Springer's two-run blast in the 11th that silenced the stadium yet again, this time for good. The Astros have not won the World Series. Not yet. For that to happen, they will have to suffer through at least a few more agonizing, nail-biting nights like the last one, and we will have to suffer along with them. But we'll do it, and gladly, if only because the team with the biggest payroll and the most famous fans and the majestic cathedral of a stadium turns out not to be as unbeatable as advertised. 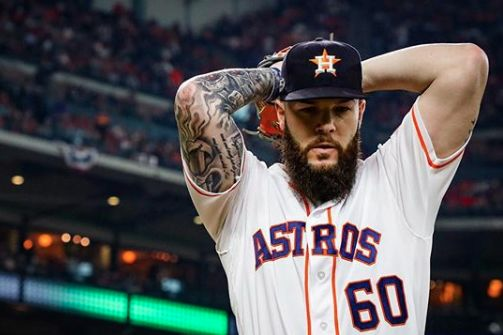 Thanks to last night, the Astros know that now, so do the Dodgers. And so, for that matter, does the rest of the world. "Well, it won't be a sweep," said an anchor on one of the morning shows today, frowning as she began the hour's lead story. Uh, no. No, it won't.